It’s hard to believe that Wayne’s World came out 20 years ago. That movie defined a generation and cemented the phrase “Party on” into pop culture. Teens in the ’90s ate up the Mike Meyers/Dana Carvey comedy, and today the movie could be regarded as a cult classic. Oddly enough, the film featured a once-laughable car and turned it into a cult favorite in its own right: the AMC Pacer. Remember the “Bohemian Rhapsody” scene in the old Pacer? Truly a moment of cinematic history. The Pacer is just one example of cars, some with less-than-glorious-pasts, that have achieved the level of cult favorite. Keep reading for more, and feel free to add any car you think I’ve missed. I know there are plenty. Yes, they exploded if hit in just the right way, but the car represented one of America’s first efforts at fuel conservation. Ironically enough, hot rodders now love to stick big V8s in them. I saw one of these straight out of the ’60s at a Walmart recently, spray-painted with peace signs and everything. I wondered who it belonged to when, a few aisles down, I saw a Rastafarian-type girl sauntering in the van’s general direction. Yep. Perhaps the most modern of the cult cars, the Wrangler has a devout following that could challenge some religions in the number of people who call themselves faithful. Not the Tacoma, but the Pickup. Specifically, from the 1980s. I once belonged to this cult, and to this day still wish I did. I have only Marty McFly to thank for this. 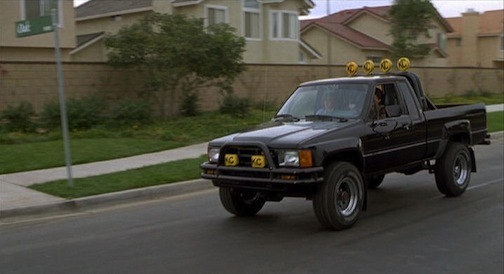 What would you add to the list of cars that are cult favorites? This entry was posted in Car Minded, Classic & Vintage Cars, Domestic Cars, Foreign Cars, General Chat, United States and tagged amc pacer, cult cars, delorean dmc-12, famous cars, ford pinto, Jeep Wrangler, toyota pickup, type 2, volkswagen microbus. Bookmark the permalink. Around here, one of the most popular is the 1990’ish Chevy Caprice. I’m not sure why, but there seems to be an awful lot of them around with pimp kits (giant conestoga wagon wheels & fancy paint) and sonic boom sound systems. One that I really miss seeing is the older generation of BMW sedans, especially the 2002 series. Around here, older Jags are also very popular, especially the 2-seater XJ convertibles with V12’s. What I don’t see are any GM X-cars (GM’s take on the Pacer), and I see more Yugos than Pintos. Jeeps are very popular around here, although you don’t see the really old ones because like everything else, they succumb to the salt.